After yet another lovely breakfast (and Turkish Tea!) 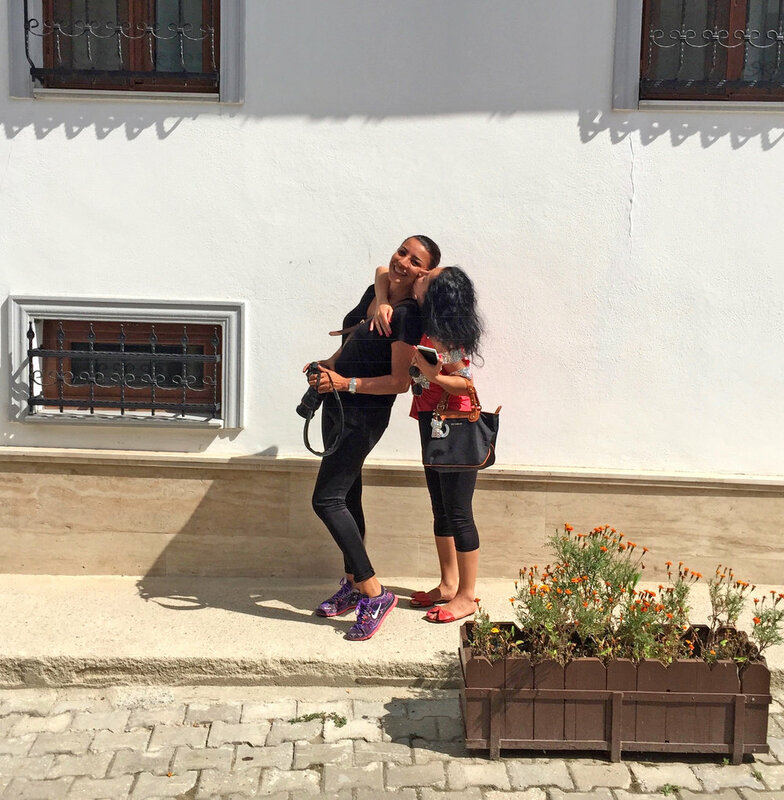 in the courtyard of the Four Seasons, we were picked up early by two lovely young ladies, Gamse of http://www.turkeytour.net, and her traveling companion, Einor. We wanted to make the 2 and a half hour drive to Edirne (previously known as Adrianople) as it is one of the places where the Prophet Founder of the Baha'i Faith, Baha'u'llah, was imprisoned during His lifetime. Many of you know that Julian and I are members of the Baha'i Faith, an independent world religion that stresses the unity of the human family and the common source of all religion. 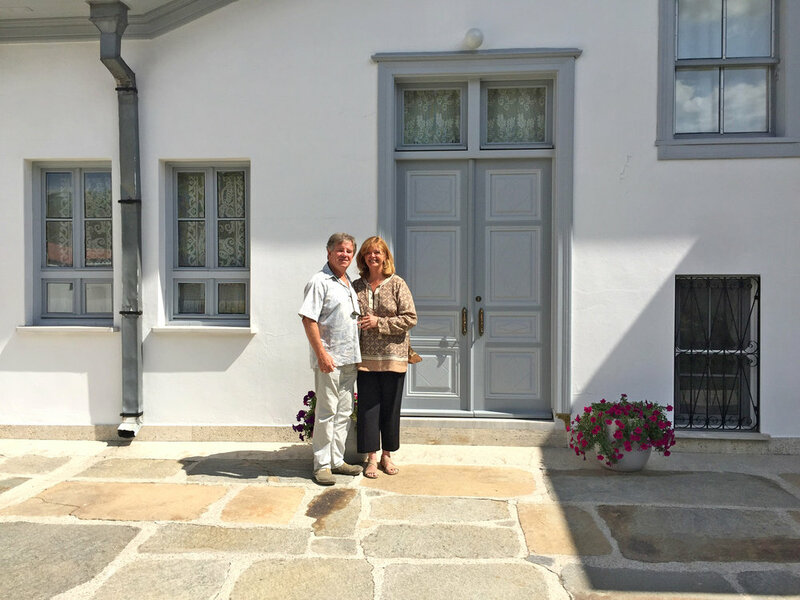 We were very keen to make this small pilgrimage to Edirne. 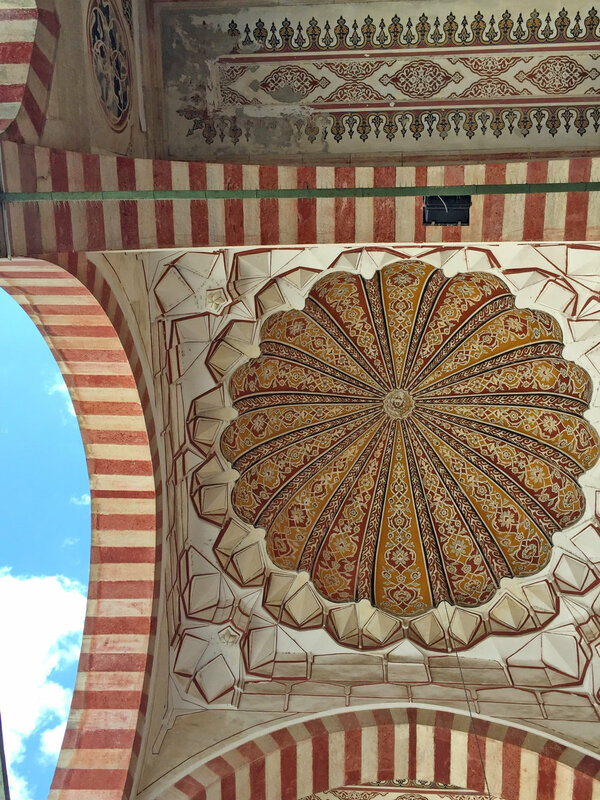 With a quick stop for snacks, we arrived in Edirne well on time, and Gamse led us to the House of Baha'u'llah. We met the very gracious Madjidi's, who care for the house and grounds, and they shared a cup of tea and cookies with us. We then visited the house itself, with time to pray and reflect. It was peaceful and moving and profoundly significant to us to be there. We were able to spend time in the garden and another area important to Baha'is, and then met Gamse and Einor back where they had dropped us off. They took us to the Selimiye mosque, well known because it was designed and built by Sinan, the best-known architect of Turkey in his day. It is considered to be a masterpiece of Ottoman architecture, and is beautiful! Then we went for a bite to eat with Gamse and Einor, and even tasted the liver that Edirne is famous for. Not being a fan, I enjoyed it in spite of myself. (Maybe it was the company?). Then the long ride back to our new favorite hotel, a farewell to the lovely ladies, and a small bit of night shopping in the neighborhood before bed. Thank you to the Four Seasons and our new found friends who made this visit to Turkey very special. Notice how the carpet is marked so during group prayer, everyone knows where to stand.